Attached is our District 6 Crime Report for the month of July. We have had 92 incidents per month for the last 3 months. While it would be great if those numbers would have been in the 70’s like the first four months of this year, our total is still lower than the last two years at this time. If we can hold steady or lower for the rest of the year, we will be quite a bit lower than in the past. I have attached for your information the sheet that tells when to call 911 vs. when to call 311. 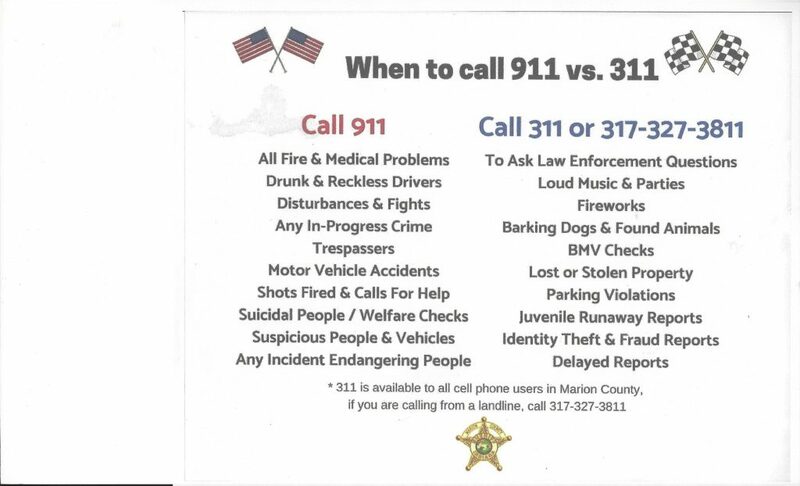 Everyone in Marion County can now call 311 from a cell phone for non-emergency numbers. From your landline, you still need to call 317-327-3811 for non-emergency calls. Remember – it is important to report something that is suspicious in your neighborhood or where you are. If you see something that does not look right to you, call 911. You know what seems different in your neighborhood, so if you have a concern – call 911 and report it immediately. This can help stop a crime from happening or help the police catch a criminal. Don’t let your guard down. 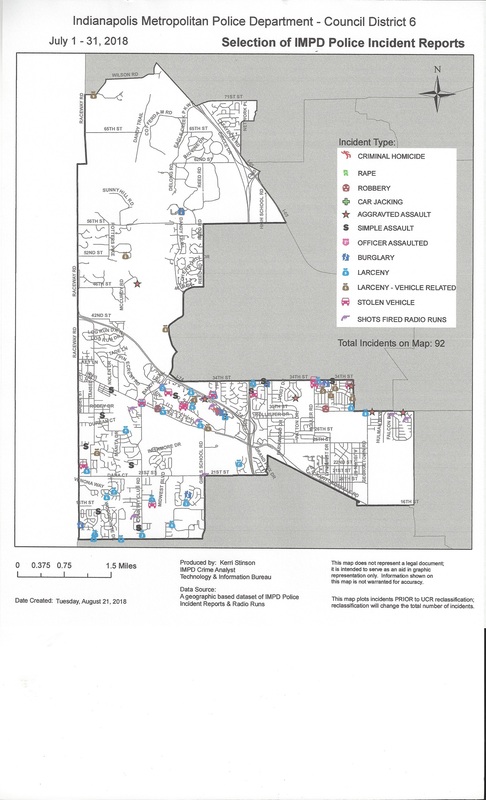 Many of our neighborhoods have been fortunate to have little or no crime during a month this summer. Don’t think that since this has been the case criminals will stay out of your neighborhood. They can go anywhere and do. Continue to practice the safety tips and encourage your friends and neighbors to do likewise. By all of us working to be pro-active against crime we can hopefully keep our neighborhoods safe, or make our neighborhoods safer. Remember, if you see something, say something – call 911.